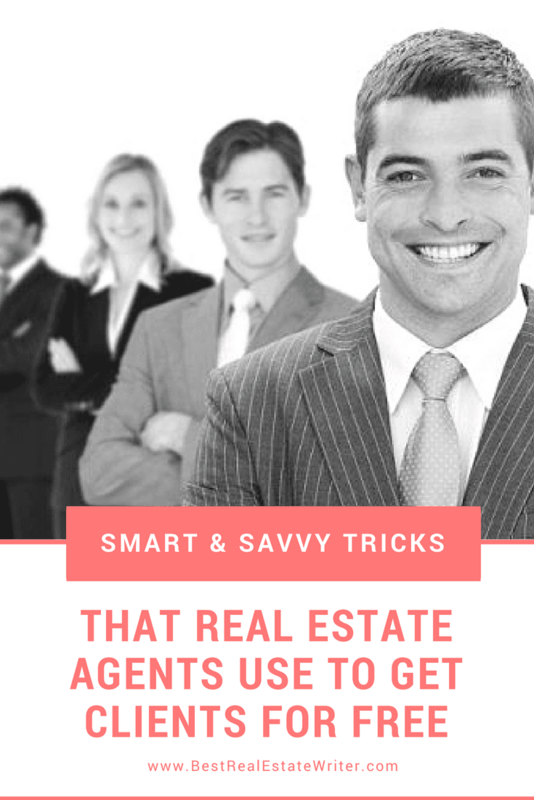 You already know that your real estate blog can turn you into the top agent or broker in your market and make you a fortune. However, if you are anything like most of the people I talk to every day, you don’t feel like you have enough time to build a badass real estate blog. It’s true that creating, updating, and managing a highly effective real estate blog doesn’t happen with a snap of your fingers. After all, that’s why most people hire me to do it for them. However, if you can (trust me you can) carve out just 30 minutes a day, you can help launch your real estate blog to a more lucrative level. Make sure that you save this post so that you can fall back on it anytime you find yourself with a few extra minutes to spare. Most of these tasks can be done on your phone, making them an ideal way to leverage your downtime into cash. Pinterest is for far more than crafts and fitness. It happens to be the second largest search engine on the net, which means it is a massive driver of online traffic. Download the Canva app on your phone so you can create pins for Pinterest on the go. The app and website both come with plenty of plug and drop templates that allow you to create pins for your blog in seconds! I suggest creating two or three different pins for each of your articles as a way of A/B testing the images and formats and discovering what people respond to best. Once you have created pins for your posts, you need to get them out there. The best way to publish and promote your pins to a bigger audience is through Tailwind. Tailwind is an incredibly powerful tool for growing your audience on Pinterest, pre-scheduling your pins, reviewing the analytics of your Pinterest performance, and getting more valuable traffic to your real estate website. Anytime that you have a few minutes to yourself you could brainstorm some new topics and titles for your blog. The best topics are those that either solve a problem, exploit a fear, or help achieve a goal for your target audience. The most important ingredient for all of the content on your blog is value. If you haven’t already, download your copy of my ideal client profile. It will help you to identify who your ideal client is and build a list of what their goals and problems are. Remember, the more that you tailor your content to those people, the more they will trust you and buy from you. I suggest keeping a note or Google doc right in your phone so you can jot down ideas as they come to you as well. You work hard to get people to your real estate blog. If you thought that was hard, try keeping them on your site for more than a minute or two. One of my favorite ways to keep people reading and engaging with my content, and my clients’, is to include links to related articles. The easiest way to do this is to keep a running spreadsheet that includes all of your blog titles and links, divided up by category (buyers, sellers, how-to). Anytime that you are writing a new article and have previous articles that are relevant, be sure to include them. For example, if you are writing an article on the benefits of staging a listing, you should include links to all other articles you have about staging. If you don’t have any yet, you now have a few ideas for your next articles. One of the main purposes of your real estate blog is to help you grow your email list. There are several ways that you can go about using your blog to grow that list of subscribers, but one of my favorites by far is through content upgrades. Let’s say that you have written an article about how to sell your house for more in less time. A checklist of all the things that a seller needs to do in order to get their house ready for the market would make a valuable and appropriate content upgrade. Don’t worry, creating content upgrades is actually a lot simpler and faster than you probably think. Have any articles on your real estate blog that aren’t quite relevant or accurate anymore? You’re not alone. As a matter of fact, many professional bloggers and content creators create content that will “expire” on purpose! All in the name of SEO my friend! Every time that you add content or update the current content on your real estate website or blog, it helps to push you further to the top of the search engines. Obviously, reaching the top of search engines like Google is one of the main intents of your blog, so it is well worth taking a few minutes to go back and find an old article or two to bring up-to-date. First and foremost, your real estate blog articles need to be posted to your privately owned website. However, that is not the only place that it should be published. Anytime that you find yourself with some time to kill, you should transfer your existing articles over to bigger platforms like Active Rain or any one these which will also help boost your SEO. I always create all of my blogs in Google docs to start so that I can easily copy/paste them into various other platforms quickly. I admit that I don’t always have time to post them or schedule them all at the moment that they are finished so I take a few minutes here and there to get in done. Again, most platforms that are valuable hosts for your real estate blog posts like LinkedIn or Medium have mobile apps which makes being a pro blogger on the go much easier. 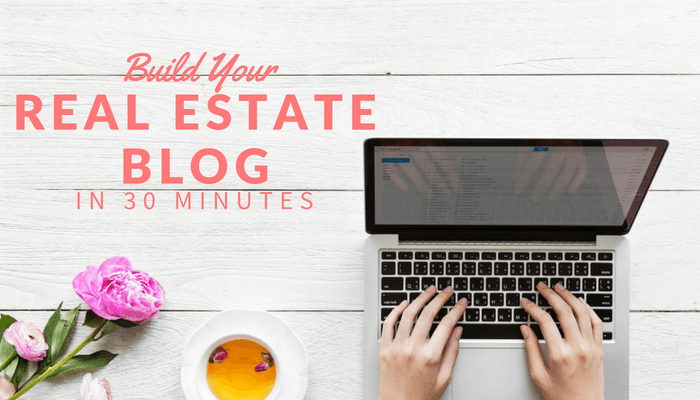 Want My Help Building Your Real Estate Blog? Call me crazy but I get more enjoyment than you can possibly imagine out of helping my clients develop their real estate blogs. I love watching first-hand how their blogs help them to cut their marketing costs, waste less time chasing after lame leads and earn more money than they thought they were capable of making in the industry. I understand that not everyone can afford to hire me to write for them or don’t want to go through the effort of getting someone to pay for my services for them (ask me how this is done). That’s why I write create content to help you do it on your own. However, if you are open-minded to learning how I can help you improve your real estate blog and leverage it into more profits, power, and prestige, book a free consultation with me.